But let’s just take a closer look at that tentacle. It’s made entirely out of an announcement for the forthcoming 4 Gods, a new game from the designer of the excellent Archipelago! Hooray! 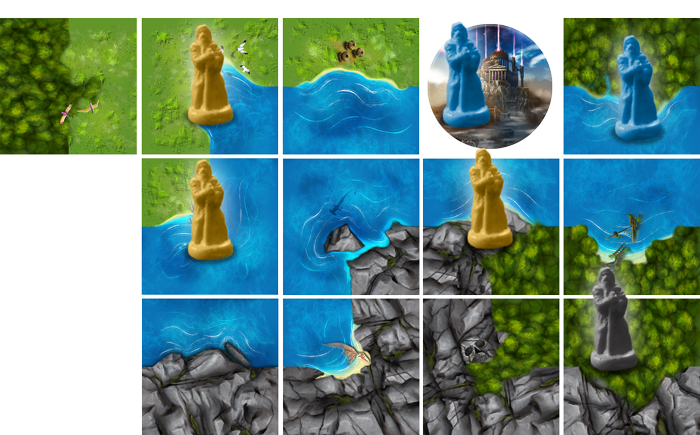 Those sailors at least died happy hearing about Asmodee’s plans for this epic world-builder, which casts players as gods who will both create and then try to rule over a world of cute little tiles and tiny plastic prophets, a bit like a scaled-up Carcassonne. 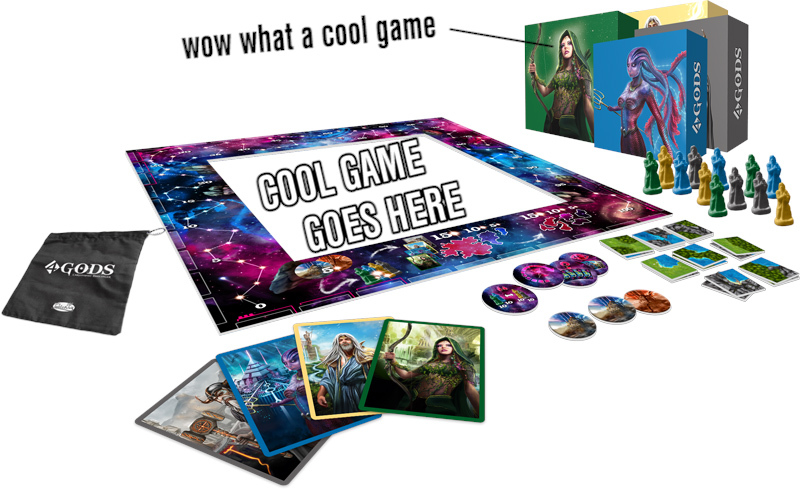 Except it’s nothing like a scaled-up Carcassonne and more like the constant chaos that is Galaxy Trucker, because you’re all laying tiles simultaneously, rushing to shape a world that favours you and wins you influence. Doubtless, all this clawing at continents is going to make a terrible mess as you try to clumsily build as best as you can, fumbling, flailing, confused and imperfect Just like a real god! Years on, I still have great affection for Christophe Boelinger’s Carca-class and it rode high in our Top 100 Games last year, so I’m looking forward to this. 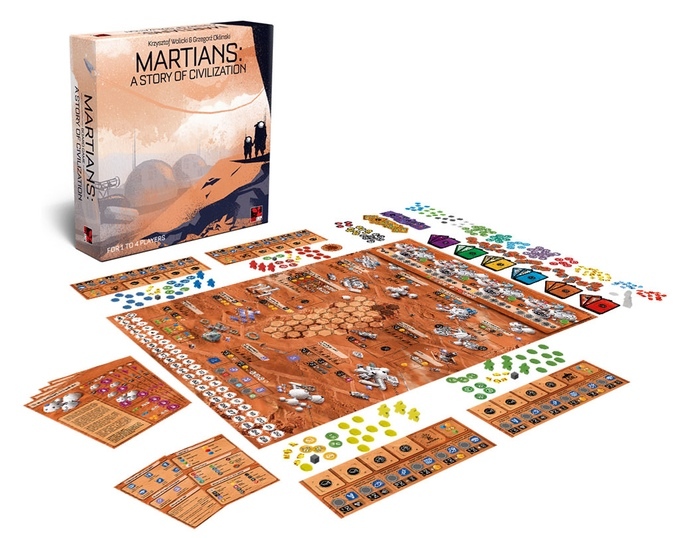 Meanwhile, Games News surges onward, determined to destroy all in its wake, and we see that its curved and wicked beak tapers into news of the elaborate Martians: A Story of Civilization, a new Kickstarter project that’s just now swept past its funding goal. As you probably guessed, it’s a game all about colonising Mars, mining the planet’s resources and making homes for its new residents. With each deadly peck we learn more: Martians can be played cooperatively, semi-cooperatively or competitively, depending upon the scenario. 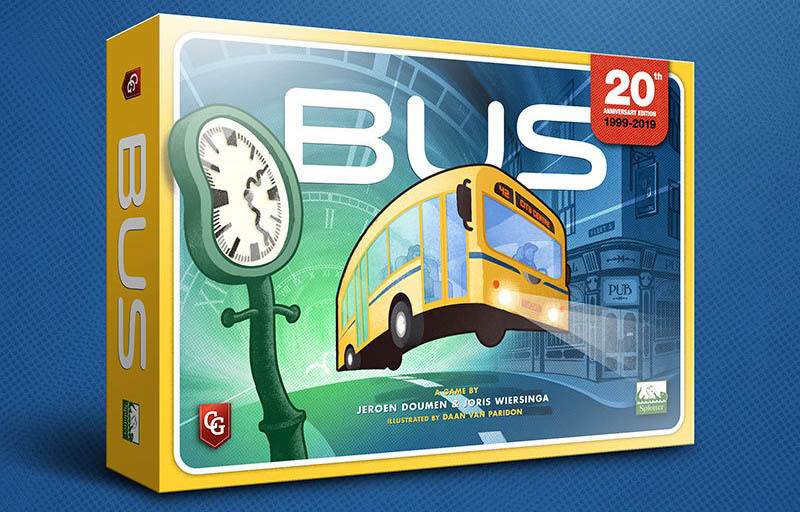 It gives each player control of a corporation working toward either shared or individual objectives. Important considerations include everything from oxygen to energy to weather. It looks similar in both theme and complexity to Archipelago, but I’m glad to see that theme taken into space once more. I feel like games have us re-colonising earth much more than stepping spaceward. Oh, the humanity. As our information behemoth finally makes landfall, a quick twitch of its tail demolishes a seaside condo as if it were an afterthought and the last thing those inside see is Little Circuses. It’s the briefest of glimpses, but this is a concept I can very much get behind. 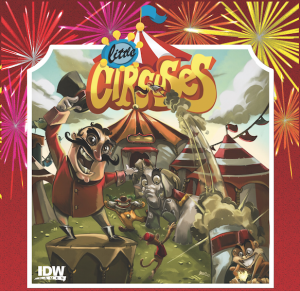 IDW have announced a game that’s all about laying down both workers and tiles to build, you guessed it, the best possible circus. If you can pack in the attractions, from sword-swallowers to fortune tellers, you might just make it, and if the idea of building a circus isn’t exciting enough for you, this game fell straight out the brain of Kevin Wilson, the original designer of Descent and quite a bit more! Sadly, brains seem to be what Games News most likes the taste of and, as it munches its way onward, I suggest we evacuate our best and our brightest before they’re all swallowed up. We should probably start with Pandemic Legacy designer Matt Leacock, who recently shared the story of his career with TIME magazine, giving some important reminders of both how long board game development can take and how, for so many people, it’s in no way a get-rich-quick scheme. 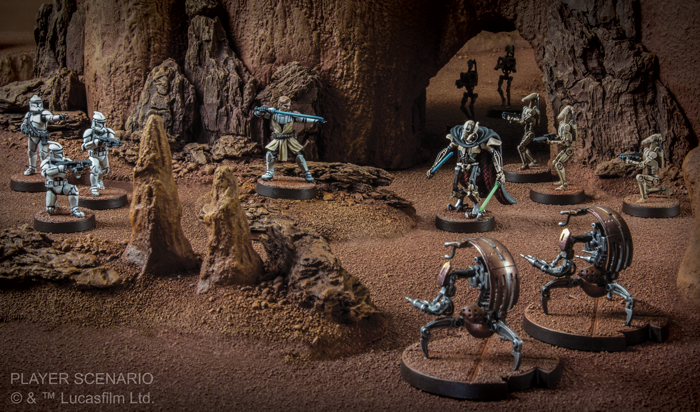 We have to cherish our designers, because many are doing it for the love of the hobby and they produce quite wonderful things. 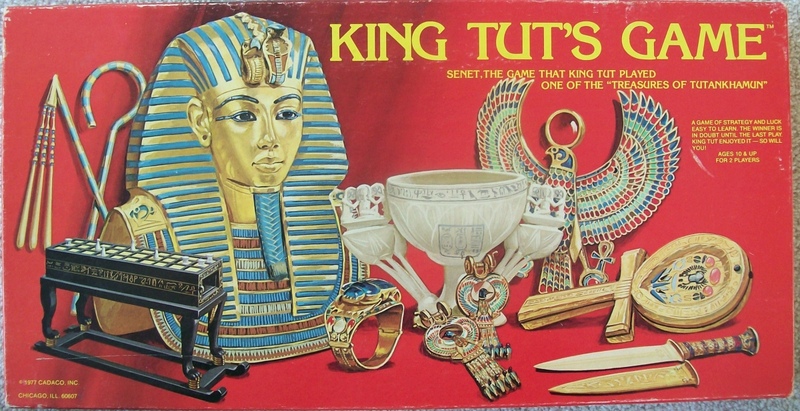 Another gaming treasure is Eurogamer’s Christian Donlan, who last week wrote this terrific story about ancient Egyptian board gaming and what it was like to try to play Backgammon’s almost prehistoric precursor, Senet. Sadly, as I type this last paragraph, Games News is almost upon me. Its thousand twitching pseudopods pummel at the structures in my neighbourhood as it swats back fighter jets like gnats, their missiles bouncing harmlessly off its countless unblinking eyes. Before the tidal wave of digestive enzymes reach me, I have just enough time to tell you that it seems to have… laid an egg of some sort. 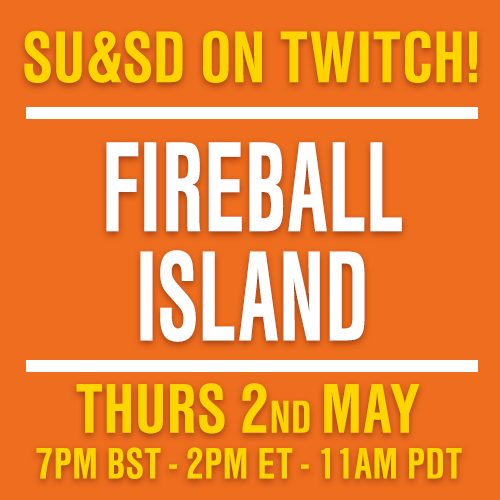 This mysterious ovoid bursts open to reveal a terrifying bright light, infernal shrieking and the news that a new Dungeons & Dragons film edges ever closer to being realised. We may all truly be doomed. As is typical for big studio projects, this has been a twinkle in someone’s eye for a while, but it has gathered a screenplay, a director, a production team and a casting process that seems to be well underway. Now, while the idea of a Dungeons & Dragons film should, in theory, fill your heart with joy, films based on games of just about any kind more often than not fall short. 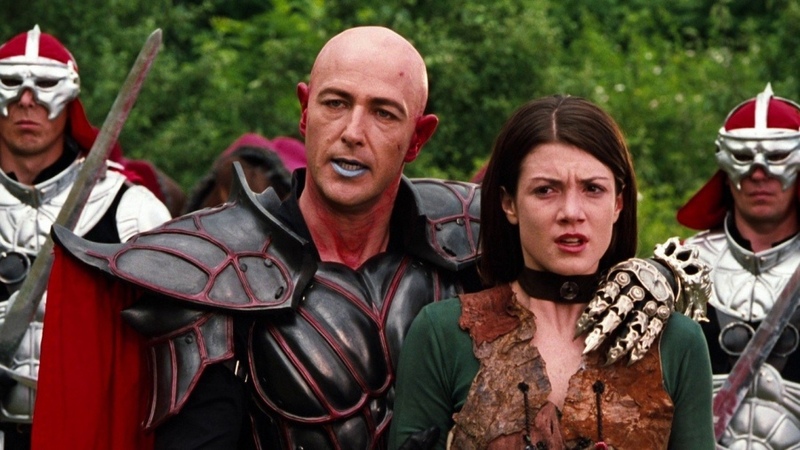 And then there’s the previous attempt at bringing Dungeons & Dragons to the big screen, which is just about one of the worst movies of the last fifty years, a constant carnival of crap, with terrible special effects and so ham-acted that a pulled pork baguette would be offended. Apparently this film will be based in the Forgotten Realms setting, but it doesn’t seem to be inspired by any particular novel or story (it’s not like there aren’t some big sellers to choose from). Even though the Forgotten Realms a perennially popular world for many players, could someone please just get on with it and make a Dragonlance film instead? Or is there some other game you’d rather see adapted? I’ll read your comments below as I’m slowly dissolved.